Fish may not live in the depths of Okanagan Lake, but there’s still lots happening down there, and some of it could be toxic to human health. Aquatic biologist Heather Larratt, of Larratt Aquatic Consulting, admits she was surprised by the depth at which toxic cyanobacteria are capable of surviving. 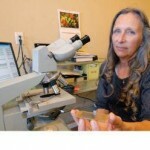 “These algae are tolerant of very low to no-light conditions, for a period of time,” she said. 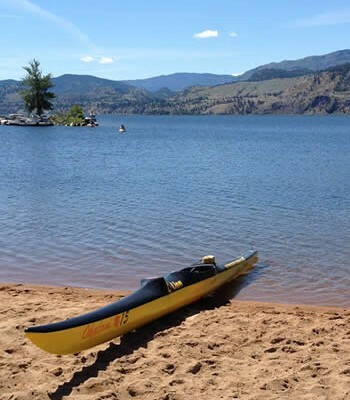 Larratt recently completed a draft deep-water biology study of Okanagan Lake, which she’s been working on for just over a year with funding from the Okanagan Basin Water Board. She expects to complete the final report in the coming weeks. “It’s what we can’t see that can kill. We can’t detect a parasite or a lethal virus that’s waterborne,” Larratt said. 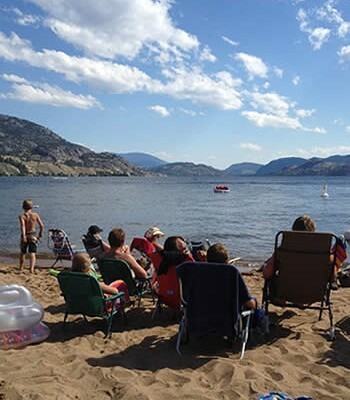 In working on the study, Larratt said she had the cooperation of 16 of the 18 water systems with intakes in Okanagan Lake, as well as Interior Health, the Kelowna and West Kelowna Joint Water Committees and the Central Okanagan Regional District. The intent of the study is to determine the optimal depth for water intakes and identify biological factors that would affect water treatment. Over the past year, Larratt sampled three spots in the lake four times, one in each season, in each of the three basins, and discovered that in terms of algae, they could be three different lakes. 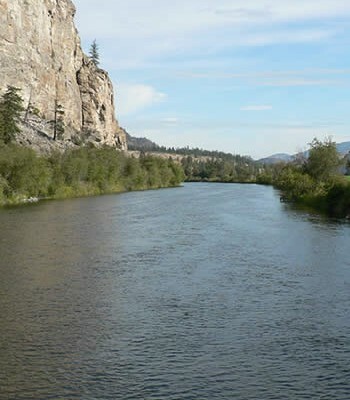 From those samples, she concluded that the ideal depth for water intakes in the southern basin, which is south of Rattlesnake Island, is about 30 to 40 metres, while in the central basin, south of the bridge, the ideal depth is 40 to 45 metres, and north of the bridge, the ideal depth is 45 to 50 metres. 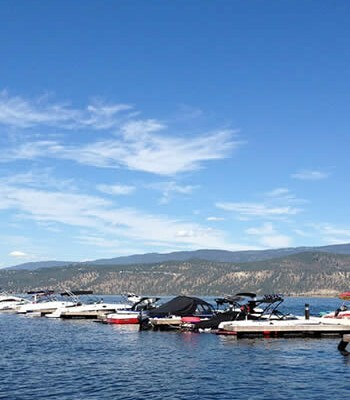 The shallowest intake is Shanboolard in West Kelowna, at 4.6 metres, while Peachland’s seasonally-used Trepanier intake is at seven or eight metres, Eldorado and West Kelowna Estates 14 metres, Sunnyside 15 metres, and Swick Road 16 metres. She concluded that locating intakes shallower than 16 metres can result in high bacteria counts. 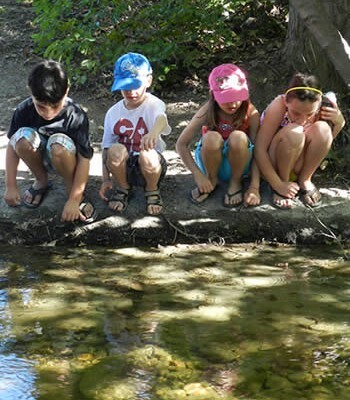 With a warming climate, cyanobacteria (blue-green algae) is on the increase across Canada. It’s an algae that has existed for as long as we know in Okanagan Lake because of nutrient conditions, temperature and light. They are widespread and are a “problematic group,” commented Larratt, who reports she has identified 13 different species in Okanagan Lake. In high doses, some can cause death within 20 minutes of ingestion. And, in the case of a toxic algae bloom near a water intake, she reported that few utilities could continue to deliver normal service if their primary water source was unavailable. In fact, she said tens of thousands of residents would be without drinking water, or would be restricted to indoor water use only on an emergency basis. Algae blooms could also affect several utilities at the same time. She said 39 of the 163 intake samples had cyanobacteria counts that exceeded the 2,000 cell per millilitre threshold of concern, but none exceeded the 15,000 cells per millilitre threshold of toxin threat. Intakes near outfalls, creeks or urban areas had higher algae counts than others nearby. Spring diatom and cyanobacteria counts were particularly large in intakes shallower than 16 metres, and were in larger densities during April and May. They increased again in the fall. 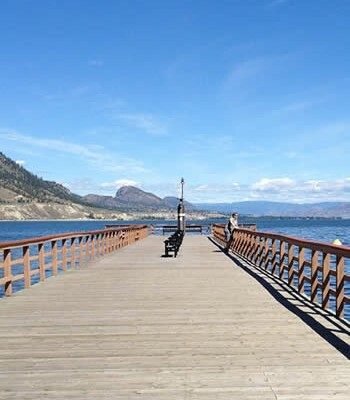 She noted that samples from Kelowna’s Swick Road intake were high from summer through fall. 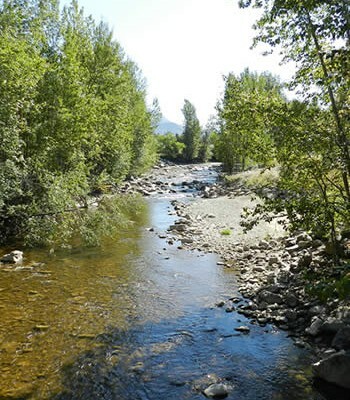 During winter, intake samples had low cyanobacteria counts with the notable exception of the Poplar Point intake, where December and February samples exceeded 2,000 cells per millilitre cyanobacteria. The toxins include a range of chemical compounds, with some affecting the liver, others attacking the nervous system and others that are skin irritants. 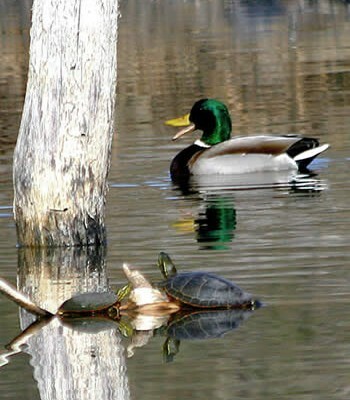 Larratt recommends Interior Health adopt a decision tree prepared by the World Health Organization to deal with monitoring blue-green algae in case a serious health issue develops. IH relies on visual screening and identification through algae counts, through to lab analysis to identify and quantify toxin types and concentrations. Meanwhile, she said everyone can take precautions by not overwatering their lawns, because that carries nitrates into stormwater drains, most of which carry them into Okanagan Lake thereby feeding the cyanobacteria. Protection of our watershed is an important way to help deal with the threat of these algae, and “the lawn is part of our watershed,” Larrett said. Aquatic biologist Heather Larratt holds a slide of a water sample taken from Okanagan Lake which is the source for 18 water systems in the valley.